A mix of clouds and sun. High 82F. Winds SSW at 5 to 10 mph..
Echo Park — Patrons of Echo Park’s Blue Bottle Coffee shop will soon have to leave the neighborhood to find their favorite brew. The store, located on Sunset Boulevard in the historic Jensen’s Recreation Center, is closing on Dec. 5 after only three years in the neighborhood, the company announced. “We’re putting our focus on our other LA cafes,” said a company spokeswoman. In fact, the company announced the opening of a new shop in Santa Monica this week. 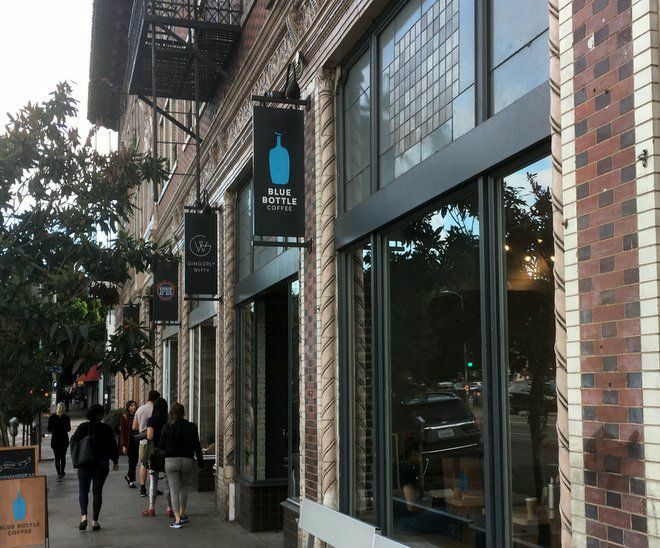 The nearest Blue Bottle shops to Echo Park include outlets in Downtown, the Arts District and Los Feliz. And Blue Bottle customers can still patronize the half dozen or so coffee shops that line Sunset Boulevard in Echo Park. No word on what will replace Blue Bottle.